The Luminoso Emergency Battery Back-up allows the LED fixture to be used for both normal and emergency operation. In the event of a power failure, the EMBE switches to the emergency mode and operates the existing fixture for 90 minutes. 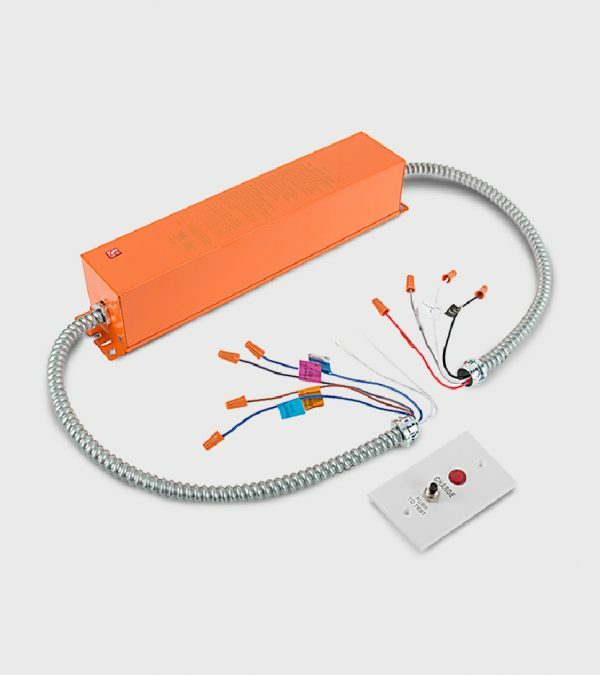 The LED Emergency Battery Back-up from is a UL Recognized and contains a battery, charger, and converter circuit in a single can and is available in different mounting configurations for individual fixture requirements. The EMBE-8W-Y is for use with an LED load up to 8W at a rated voltage of 12V-48V. The EMBE-12W-Y is for use with an LED load up to 12W at a rated voltage of 12V-48V. The EMBE-25W-Y is for use with an LED load up to 25W at a rated voltage of 18V-48V.